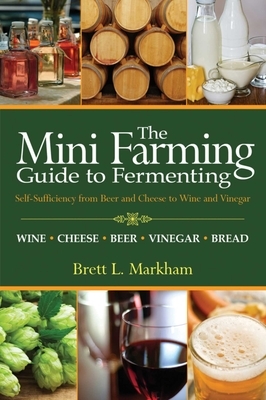 Brett Markham, author of Mini Farming: Self-Sufficiency on ¼ Acre, explains how to ferment just about anything you can grow, and reminds us that gourmet cheeses, fancy vinegars, and store-bought wines can be expensive—making your own can not only be fun but will save money. Learn to make sourdough or experiment with making wine using a countertop juice machine. Inside you’ll find recipes and instructions with checklists, extensive tables, measurements, and 150 of the author’s own photographs.